Asked to share her go-to recommendation for maker-folk from out of town, Project Runway star and local designer Emily Payne shouted out Britex Fabrics, describing it to SFist as "a family-run luxury fabric store with four floors of inspiration and crazy creative types EVERYWHERE inside." Stop by 146 Geary, which Britex has called home since opening in 1952, and you might even see Payne among that basket of "crazy creative types." 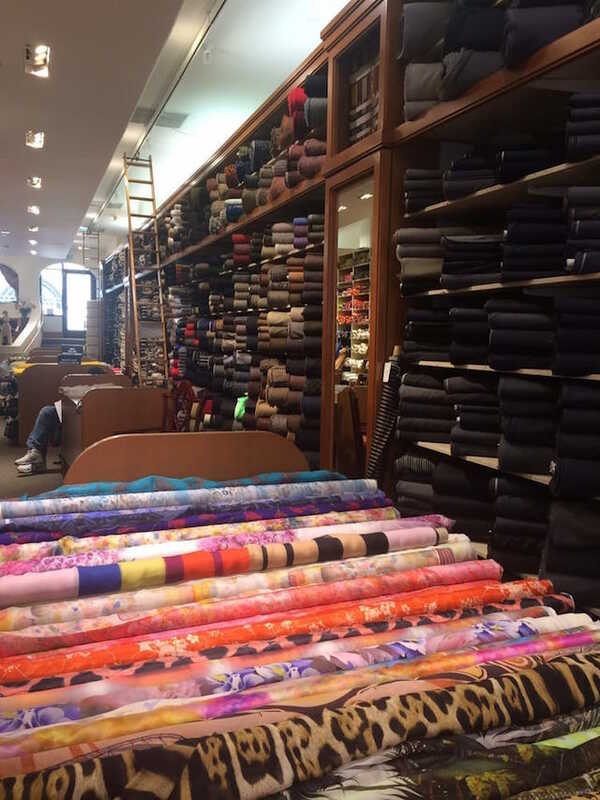 This hub for is perhaps the last independent business in chain-dominated Union Square, and it's certainly the most iconic, with its bright red sign, miles and miles of eye-catching textiles, and extensive weird button collection. But that could all soon change, although Britex representatives assure SFist that time remains on their lease. As Socketsite first reported, the property changed hands last year, selling to Acadia Realty Trust and City Center Realty Partners for $38 million. Now, to cash in on San Francisco's valuable office space, the new ownership has submitted an application to convert the building's second through fourth floors from retail to office use. That would mean the end of Britex's tenure, and “so that it would meet the needs of [a] new tenant," the Britex sign could be changed, the owners say. Dina Fayer, a Britex manager, says that the panic which greeted the news may not be called for. "We have no plans to leave our beautiful city," she tells SFist. "We are so proud to do what we do and we're gonna continue doing it. Hearing so many people that have reached out to us, really out of nowhere in the last day, and wanted to know more about this — That has been more reassuring. It makes us know that we're a resource." So far, nothing has changed. "All conditional uses require a Planning Commission hearing, per the City’s Planning Code Section 303," a representative from Planning tells Hoodline. "The proposed project has not yet been assigned to a planner or [given] a hearing date."